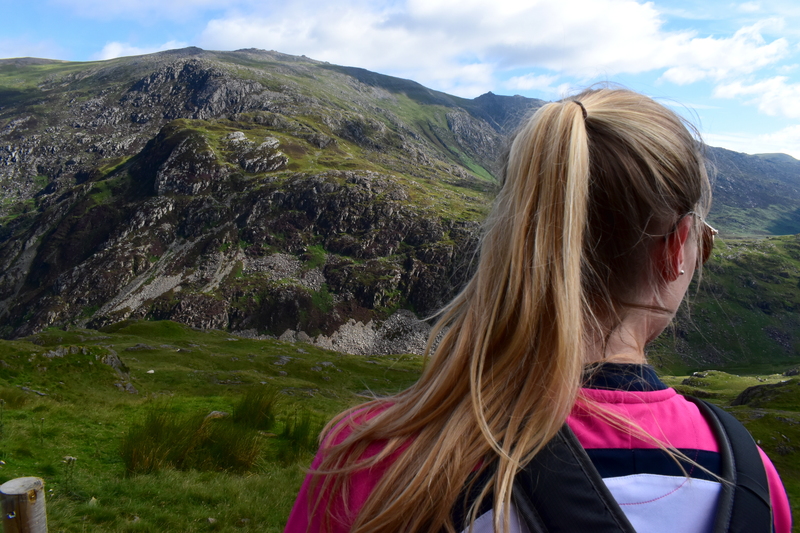 Last weekend I joined a group of 57 other like-minded travellers to hike to the summit of Snowdon in Snowdonia, Wales as part of the first Where’s Mollie? Global Travellers adventure. I’ll have a full post on the whole WMGT weekend coming very soon but for now this is going to be bit of a “beginner’s guide to Snowdon”. Now, I’ve seen children, people carrying children, OAPs and dogs up this mountain so it’s not exactly like climbing Everest. 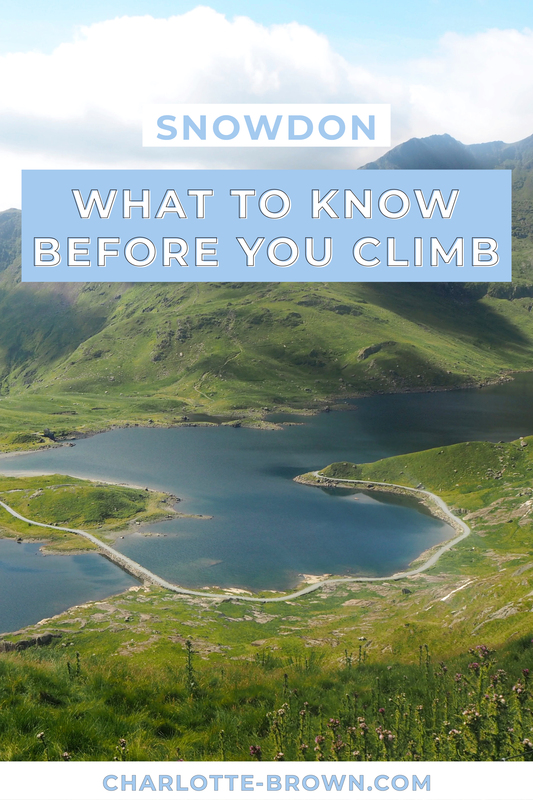 Although, I would say you need a good base level of fitness before you head up Snowdon as it does take an average of 6 hours to get up and down again. The difficulty of the walk will depend on which path you take but expect there to be steep sections in each, it is the highest mountain in Wales after all! The Llanberis path is the easiest path as it runs alongside the Snowdon Mountain Railway on a gradual incline, but it is also the longest. On the other hand the Pyg Track is the shortest of the paths but does contain a rather steep climb with some scrambling towards the end. It’s all swings and roundabouts! The Summit itself can be pretty busy depending on what time you go up, we had to queue for about 5 minutes to climb up to the top of the cairn and summited around lunchtime. If you want the summit all to yourselves, you should aim to get there pretty early in the morning or late afternoon but just take note of the daylight hours before you set off. The railway station at the top has a cafe where you can buy drinks, snacks and souvenirs but it does get quite busy and is slightly on the pricey side. On another note, prepare to not see very much from the summit. We set off and it was bright shining sun but the top of Snowdon was completely covered in cloud, leaving us with 0 visibility from the top and no view whatsoever. Just bear this in mind on your way up. There are six main paths up to the top of Snowdon: the Watkin Path, Llanberis Path, Pyg Track, Miners’ Track, Snowdon Ranger Path and Beddgelert/Rhyd Ddu Path. 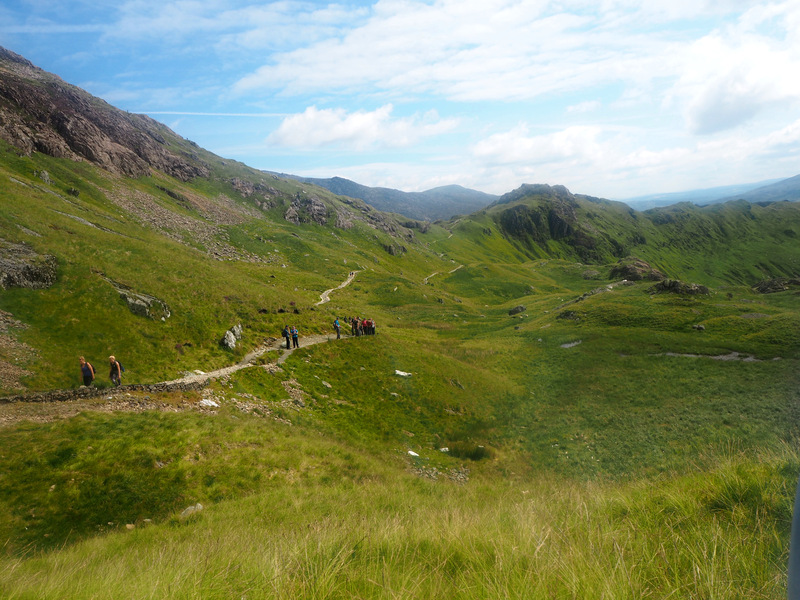 We walked up Snowdon on the Pyg Track and then back down the Miners’ Track, and this was a pretty good route to use. On the way up, the Pyg Track climbs a bit more gradually until the last bit of scrambling up to the ridge and the Miners’ Track makes for a flatter, faster and more picturesque walk down once the initial descent has been tackled. Having had glandular fever a few months ago, I’m not exactly in the best shape at the moment but I took it steady and got up and down without too much trouble so if you’re moderately active then this is probably a good route for you to use! 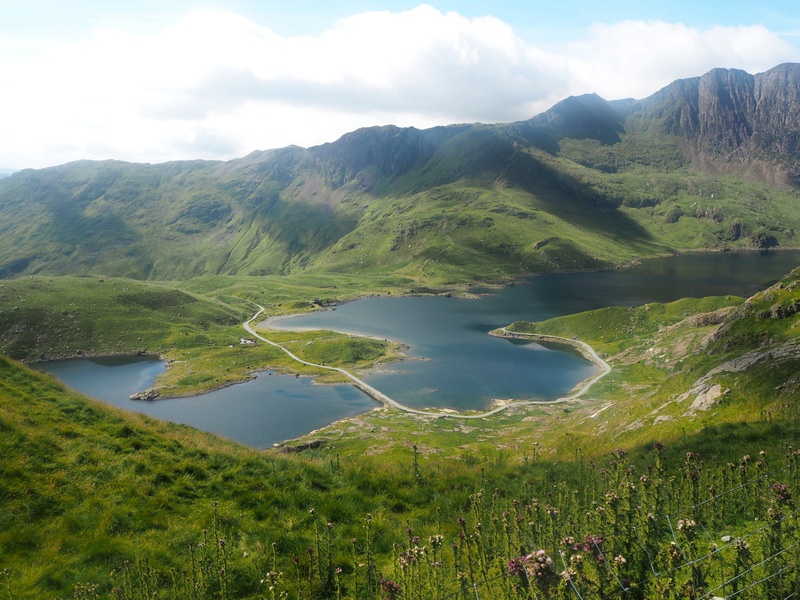 For more information on the walks and public transport around Snowdon, head to Visit Snowdonia. The walk up Snowdon does take a full day for the average person and apart from the cafe at the top, there aren’t any facilities on the way up so you do need to be a little prepared. 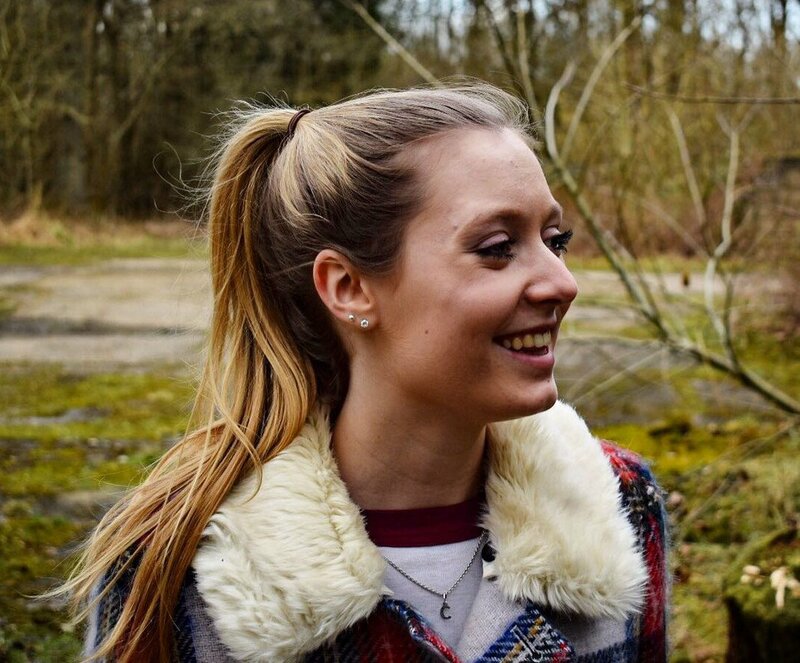 Also, Wales is notoriously unpredictable in terms of weather, so even if it’s set to be sunny pack some waterproofs as the weather can quickly change! Money – there is a cafe at the top where you can buy souvenirs, a warming drink or a well earned snack! Camera- the views up here are insanely beautiful, you’ll definitely want to take some snaps! Don’t worry! 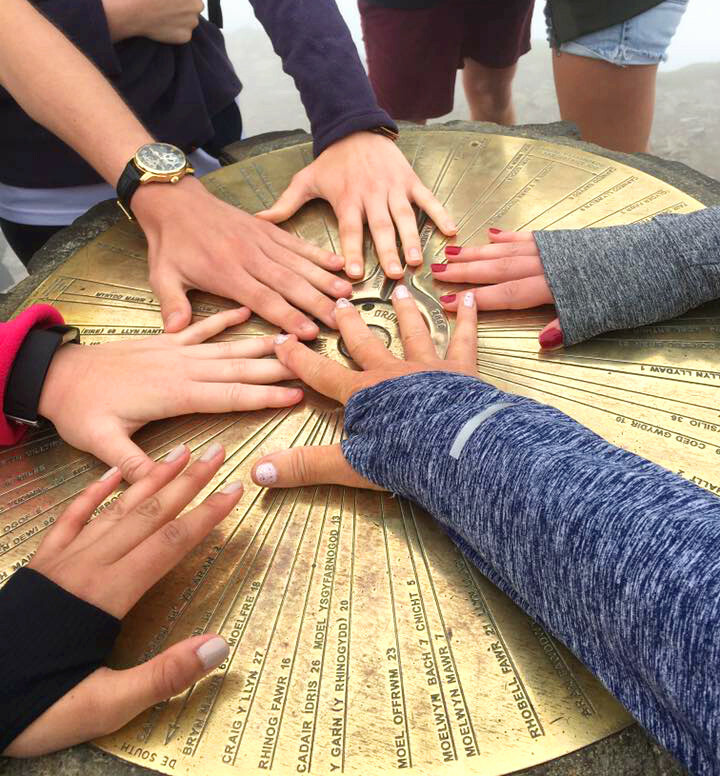 Even if a walk up Snowdon isn’t your cup of tea you can still get to the summit! 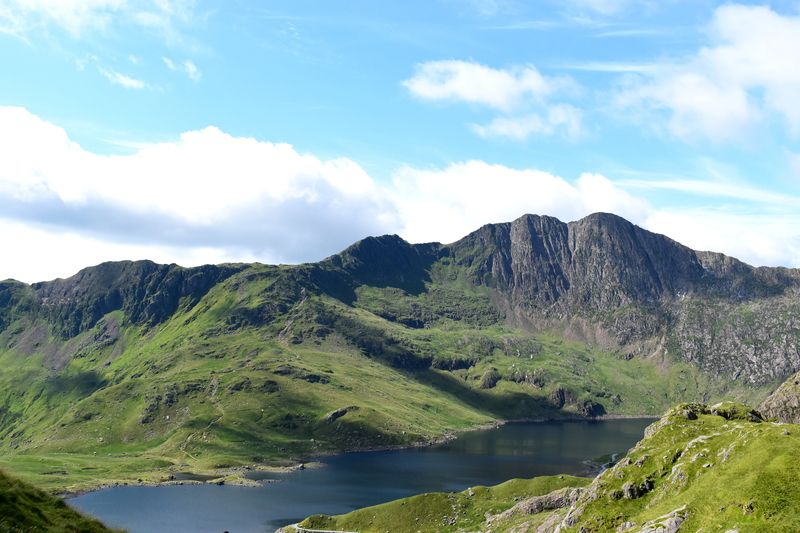 The Snowdon Mountain Railway runs from Llanberis to the Summit and is a great alternative – you can save your legs but still see some amazing views! Trains run every day from March until October and can take up to two and a half hours, including a 30 minute stop at the summit. Head to the Snowdon Mountain Railway website for more information. 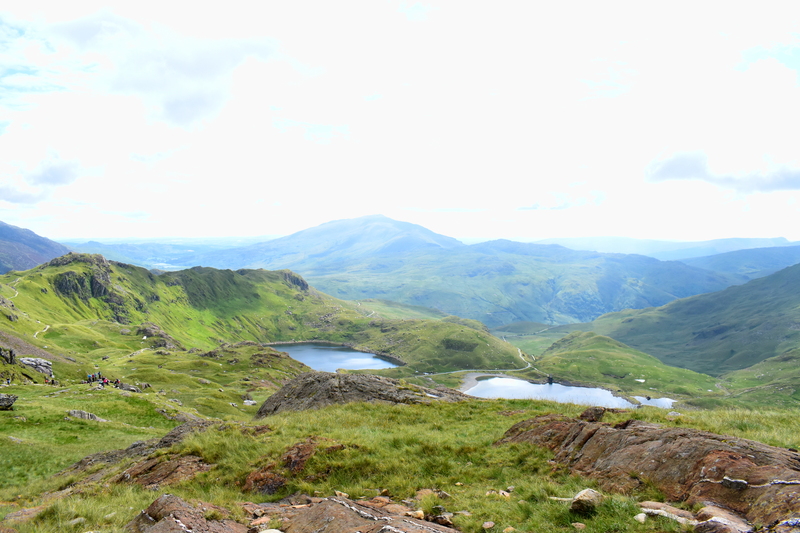 I absolutely loved my day hiking Snowdon and I had such a sense of achievement once I got to the summit (even if I couldn’t actually see anything!). The views are stunning and on a sunny day with some good friends it’s the perfect challenge for any outdoor or adventure lover. Have any of you hiked up a mountain before? Let me know your experiences in the comments! "My Top 5 Beaches in South East Cornwall"